Summary Baleno Diesel is Maruti Suzuki's latest offering in the premium hatch back segment. The car has impressive aerodynamics and looks like an elder sibling to Maruti Suzuki Swift. The car comes loaded with a 1248 cc engine which gives out a maximum power of 74 bhp @ 4000 rpm and a torque of 190 Nm @ 2000 rpm. The car has a boot space of 339 litres which is very good for this class. The car is priced at INR 8,32,000 (ex-showroom Delhi). The company claims the car to have a mileage of 27.39 kmpl which is great. 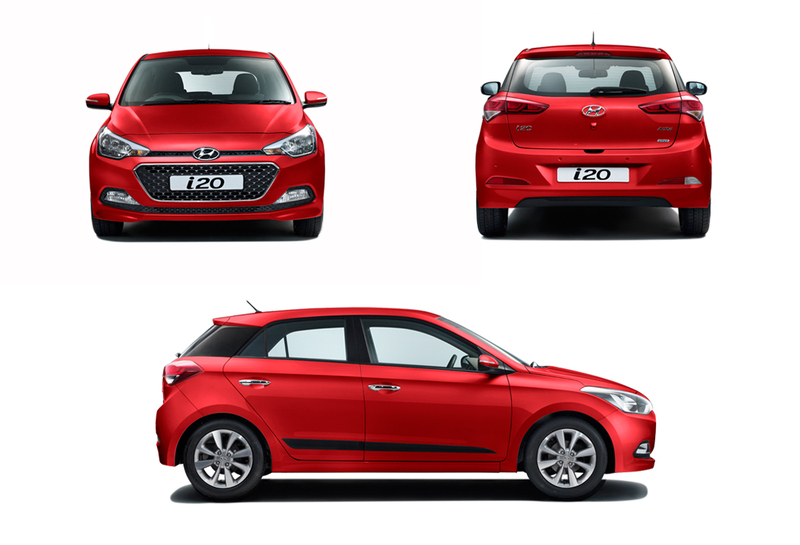 In the same price point this car is a rival to Hyundai Elite i20 Diesel Asta. The competition in the premium hatch segment is rising every day with the launch of new and affordable premium cars in the segment. The Maruti Suzuki Swift, no doubt is the best performer when the term hatch arrives, but lacks some elegance when compared to the premium features of other offerings in the market. The hollowness of Maruti Suzuki will be filled with a new offering, which no just writes premium before its name, but also shows what the word stands for in the market. 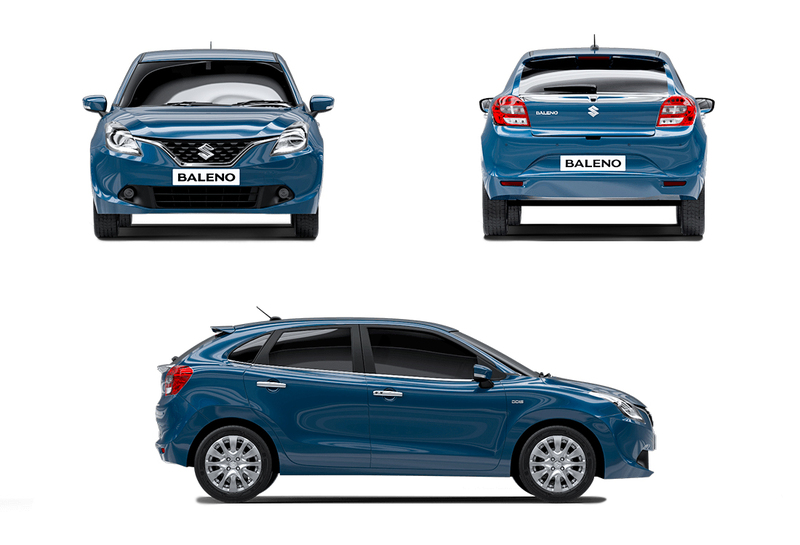 It's the all new 'Baleno', more comfortably known as the concept YRA from the company side. The car has been launched with in India on 26th October 2015 and would be available through Nexa dealerships only. According to the company, Suzuki Baleno is going to target customers who find the Swift small. The car looks a bit like an evolved Swift from the front. It has lost some weight (feels like gained from its dimensions) and seems to be wider, longer and perfectly carved from every single view you can have, with a premium feel, even when seen from some distance. The front grille seems to be smiling, resulting in a lesser aggressive and beautiful machine, suiting everyone's need, irrespective of his/her age. The design feels very refreshing and makes a mark on each heart. The rear seems to be simple, showing the calmness of the timeless design by Maruti Suzuki. This premium hatch promises to bring the real definition of comfort back and its wide body design will help the Baleno to be true to its function. The liquid flow design language makes it a unique product from Maruti Suzuki line-up. The best part of Maruti Suzuki Baleno is its interior. The premium feel would be given to the eyes in the form of perfectly planted interior components, to the ears in the form of a high quality Smartplay infotainment system and lesser noisy cabin. The same feel comes to your body with the automatic air conditioner, providing the best air around the town. Your senses would fell the charm and each of your rides would be a story for lifetime. Maruti Suzuki has planned for the best hatchback riding experience and you may be a proud part of the new beginning. Most components being used are automatic, just focusing straight onto your comfort. The seats, mirrors, steering and each electrical component has pledged to make your ride as easy as possible. The interior is very spacious this time. The car gets a premium blue-lit instrument console with a perfect combination of analogue and digital meters. The left pod gets a tachometer whereas the right gets a speedometer with analogue fuel gauge. The center gets a MID with digital clock, odometer, trip-meter and various features like instantaneous fuel mileage and average fuel mileage. The Baleno gets an option between 1.2L K-series petrol motor and 1.3L DDiS diesel motor. The former generates 83.1 BHP @ 6000 rpm and 115 NM @ 4000 rpm. It comes mated to a 5-speed manual gearbox and automatic CVT gearbox. The diesel motor generates 74 BHP @ 4000 rpm and 190 NM @ 2000 rpm. The claimed mileage of 21.4 kmpl and 27.39 kmpl is returned by the petrol and diesel engine respectively. The car gets a McPherson Strut suspension for the front whereas the rear uses Torsion Beam for the suspension duties. Front uses disc brakes whereas rear gets equipped with drum brakes on the new Baleno. The car gets ABS with EBD as standard on all the variants, either being a petrol base trim or a diesel top trim. The car gets comfort rich features like automatic climate control, steering mounted buttons and controls, navigation system, power sockets for front as well as rear row of seats and remote keyless entry. The power windows for front and rear, rear split seats, leather finish steering wheel and foot well lighting further add-up to the comfort of the passengers. The seats are spacious and Baleno offers a class leading width of 1745 mm for the best in class shoulder room and seating comfort. Maruti Suzuki has been quite careful for the safety of the passengers in all the new offering for the country. Baleno gets dual airbags and ABS with EBD standard across all the variants of the car. It has been made 100 kg lighter than the Swift and yet attains a 10 % more rigid structure than the Swift. It gets seat belt pre-tensioners and force limiters, rear wiper and washer with defogger, auto dimming inside rear view mirror and many more safety features on the list. The front projectors also provide a static beam of light for better illumination at night. The Baleno hatchback is offered in Sigma, Delta, Zeta and Alpha variants with two different engine options. The automatic variant is offered in petrol trim and this makes the total count of trims to 9. The shades on offer are Granite Grey, Pearl Arctic White, Premium Silver, Ray Blue, Autumn Orange, Premium Urbane Blue and Fire Red. The new 2016 Baleno hatchback comes with a starting price of INR 4.99 lakhs for the base petrol Sigma variant. The price of the topmost diesel Alpha trim is INR 8.11 lakhs. Baleno offers a lot of practical features when comparing between different trims. The automatic variant costs INR 6.76 lakhs.